Legendary Waldemar Baszanowski (1935-2011) of Poland would have turned 83 today. 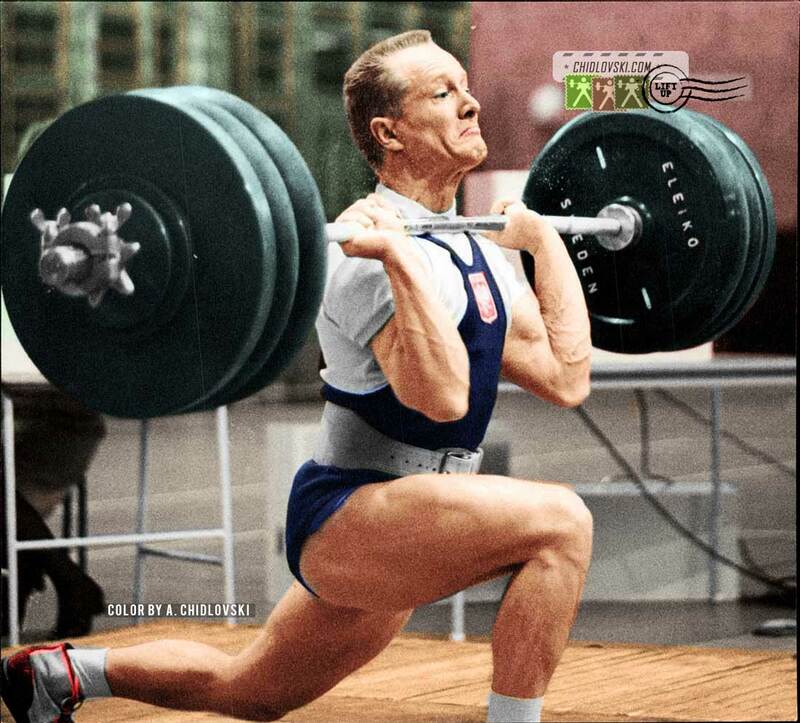 On the History in Color cover photo, Baszanowski performs his classic split style clean at the competition in Sweden. Happy Birthday to unforgettable Olympic weightlifter and athlete Waldemar Baszanowski!